Kerfoot, C. & Hyltenstam, K. (eds.). (2017) Entangled Discourses: South-North Orders of Visibility. Routledge Critical Studies in Multilingualism. New York: Routledge. The British Association For Applied Linguistics is organizing a seminar entitled Minority Languages and New Media: Towards language revitalisation in Africa and Europe at Aston University, Birmingham, April 27-28, 2017. Abstracts are due February 20. More information. UMLEN with great sadness announces the death of Dr. Juliet Tembe who passed away last night in Mbale. Juliet has been a key pillar in the Uganda Multilingual Education Network ever since it was founded. She has served on the network’s coordination committee, with great dedication and always made it a point to participate in activities either physically in Kampala or remotely from her office at the Islamic University in Uganda, Mbale Campus. Juliet loved local language literacy and education with a passion. At the time of her death, she had translated this passion into concrete actions that have uplifted the footprint of literature in local languages especially for children and young people. Her work as coordinator of the Africa Storybooks Project an online platform that has published several readers for children in different Ugandan languages is testimony of this dedication. 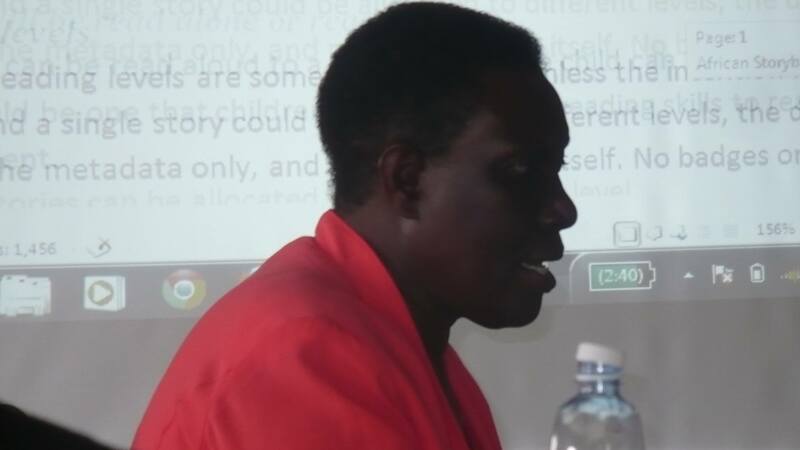 She was instrumental in setting up the Lunyole Language Association which has not only helped to codify the language but also boosted a language comparatively with a few speakers into one of the most published in Uganda. In fact Lunyole with 341,000 speakers in Uganda is ranked 4th amongst languages with the most titles of books, only beaten to the top honours by Luganda, Lugbara and Lango. Juliet helped set up Busolwe Public Library to both provide access to reading materials and inspire literary creativity within the community. Sometime in 2015, Juliet disclosed to the UMLEN coordination committee that she suffered from Leiomyosarcoma, high-grade and very aggressive cancer in her upper left thigh and at that time had spread to the nodule in the lung.She fought on and kept in touch until last night. Our heartfelt condolences to the family and relatives. May God rest Dr. Juliet Tembe’s soul in peace. Burial is due Saturday 17th December 2016 in Busolwe, Butaleja district. The Reading Association of Nigeria will host the 10th annual Pan African Literacy for All Conference on August 28–31, 2017. The conference theme is “Connecting and Engaging with Literacies: Systems and Structures for Sustainable Development”. Contact: Judith Baker (judithbakr@gmail.com). Website. The next Annual Conference of the LIA BAAL SIG will be held on Friday, May 5, 2017 at the University of Reading and the theme will be “Language without Borders: Multilingual Communication in Africa and the Diaspora”. Papers are invited on any topic which fits into that theme, including translation, translanguaging, oral communication and so forth. Please contact the LiASIG Secretary Goodith White (anne.goodithwhite@ucd.ie) for more information. Accredited universities in Ghana, Kenya, Nigeria, South Africa, Tanzania, and Uganda can submit a project request to host a scholar. Scholars born in Africa, who live in the United States or Canada and work in an accredited college or university in either of those two countries, can apply to be placed on a roster of available candidates for a fellowship. Scholars must hold a terminal degree in their field and may hold any academic rank. Scholars who have already received a fellowship in the fall 2015 or spring 2016 competitions, are not eligible to participate. Selection decisions will be made in March 2017; project visits can begin as early as May 1, 2017 and must be completed by August 31, 2017. Projects can be conducted in the African host country for 14-90 days. For the fellowship, the African Diaspora Fellow will receive a $200/day stipend, visa costs, limited health insurance coverage, and round-trip international air travel. Deadline: December 8, 2016. Contact: Jeremy Coats (africandiaspora@iie.org). Website. Commonwealth Scholarships for Master’s and PhD study in the UK are offered for citizens of developing Commonwealth Countries. These scholarships are funded by the UK Department for International Development (DFID), with the aim of contributing to the UK’s international development aims and wider overseas interests, supporting excellence in UK higher education, and sustaining the principles of the Commonwealth.Deadline: November 15, 2016. More information. This book addresses the perennial question of how to promote Africa’s indigenous languages as medium of instruction in educational systems. Breaking with the traditional approach to the continent’s language question by focusing on the often overlooked issue of the link between African languages and economic development, Language Policy and Economics argues that African languages are an integral part of a nation’s socio-political and economic development. Therefore, the book argues that any language policy designed to promote these languages in such higher domains as the educational system in particular must have economic advantages if the intent is to succeed, and proposes Prestige Planning as the way to address this issue. More information.